Sekiro Blazing Bull cheese may feel like the only way to beat this devastating boss. For those willing to grind out the fight, it can be won without cheap techniques. For the rest of us, here's how to cheese out this fiery cow. 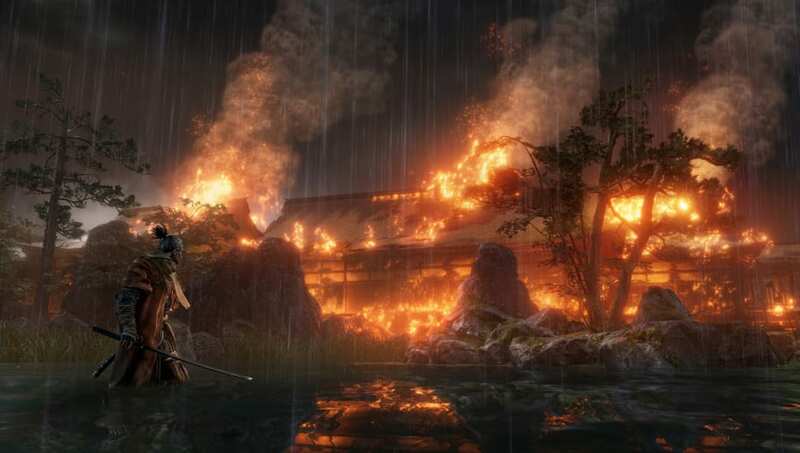 The Blazing Bull can be found at the very beginning of Ashina Castle. It is weak to the Shinobi Firecracker, and when defeated drops a Prayer Bead. Here's the easiest way to beat it. When the bull finally tries to charge away from you, use the Firecracker before it can re-establish itself. Repeat the process until you can strike a death blow against it, and you'll find yourself the proud owner of a new Prayer Bead.